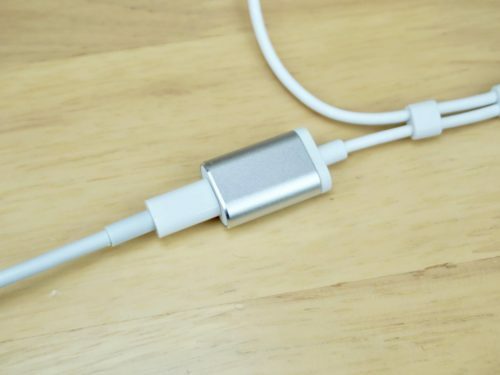 About a year and a half since Apple abolished 3.5 mm jack from the iPhones. 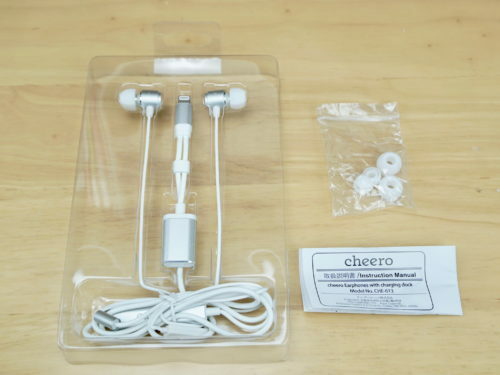 Although AirPods or Bluetooth earphones are likely to be the mainstream of earphones used on iPhones, there are many users who still want wired. 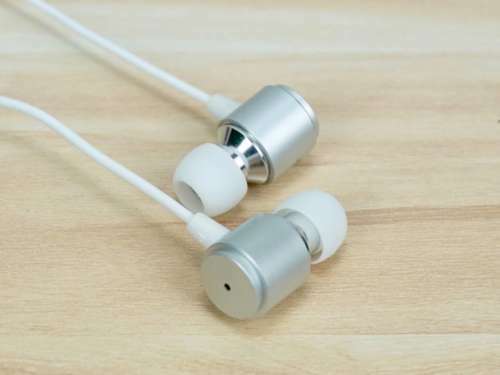 But when you thought about using a wired earphones with an iPhones without a 3.5 mm jack, you should remember two big problems. 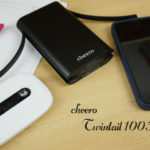 One is that it requires a cumbersome conversion plug, and the second is that you can not listen to music while charging it. 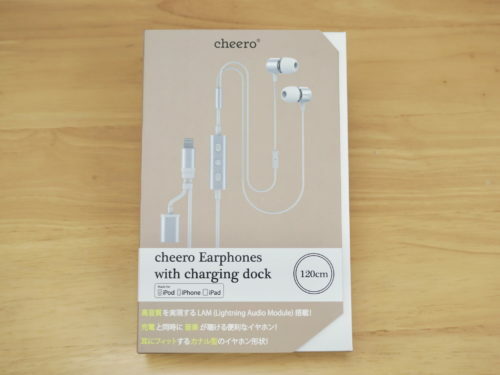 These two troublesome problems were solved by the product made by Japanese accessory maker cheero. 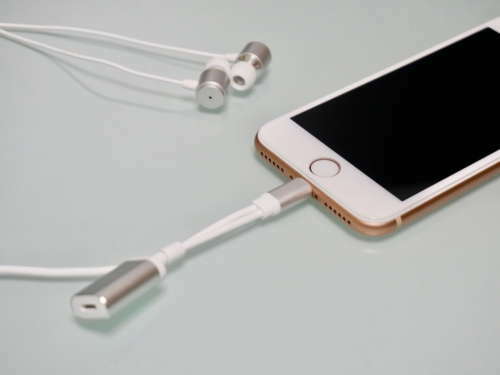 Amazingly all Lightning parts in this earphones are certified by Apple’s MFi program. Thanks to this, there is no worry that you can not use earphones with iPhones and iPads updates. Do not request great sound quality for this earphones. 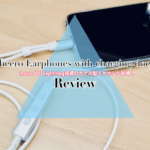 The overall sound quality is the same as EarPods. Moreover, it is inferior to EarPods in the sense of fit. In addition, when we tried listening to several songs, I realized that I am good at bass and high pitches are not good. 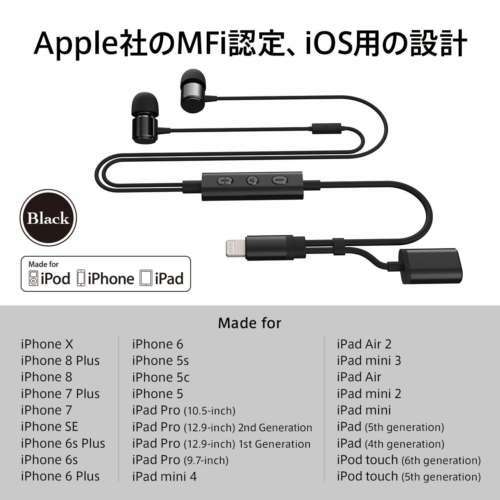 It is a very good earphones for “Future Base” which is now the most new music category. On the other hand, it is unsuitable for songs such as female artists with high range. The drive system of this product is dynamic type, the unit size is 0.39 inch in diameter. The response is 85 dB (± 5 dB), the playback frequency band is 20 Hz to 20kHz, the maximum output is 20 mW, and the impedance is 32 ohms. Also, the cable length is 1.32 yards (± 10%), I feel a little longer. 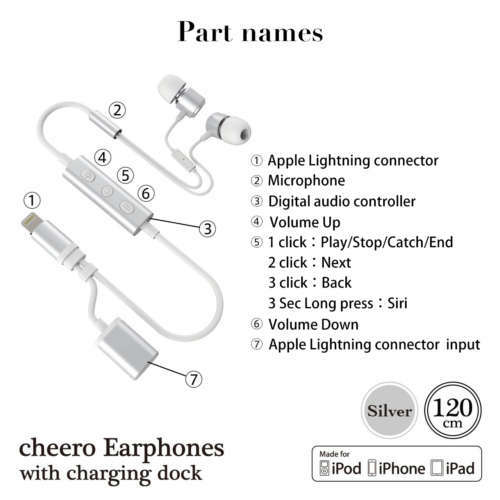 The Apple devices with which this earphones can be used are as follows. 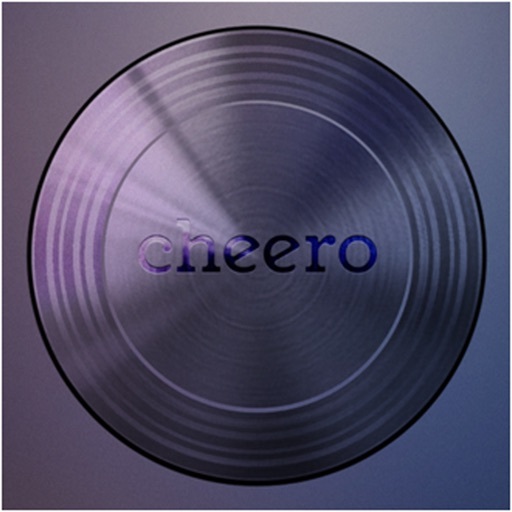 You can download the application “cheero Ear” which controls the sound of the earphones from here. Should you buy this earphones? Yes, I think that you should buy if you want to listen to music while charging the iPhones. This product will not only respond to your request, it will bring a wonderful experience. The price is ¥ 3,680. ($34) This is the price in Japan. 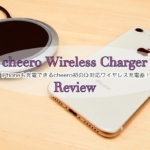 cheero is one of the popular smartphone accessory manufacturers in Japan. 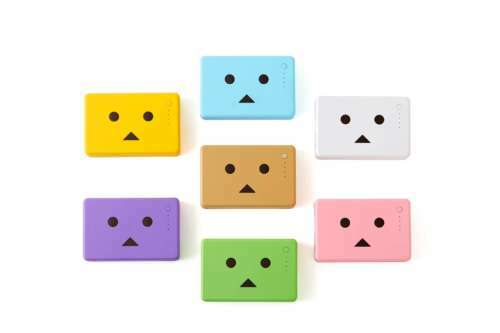 Their most famous product is the power banks “DANBOARD Power Bank” in the form of a character appearing in a Japanese manga “Yotsuba&!” In recent years it released a sleeping home appliance “Sleepion” and is also a great presence in the sleeping field. 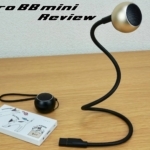 We provide latest technology news and reviews of gadgets in Japanese. Do you want to contact us? From here please.